Which restaurants gained Michelin stars in the Michelin Guide 2017? Which restaurants gained stars in the Michelin Guide UK 2017? 18 new one star entries were awarded in the Michelin Guide UK 2017, a new two star entry awarded and Heston Blumenthal’s, The Fat Duck, regained its third star after returning from Melbourne, Australia. Unexpected new comers which received their first star included Ellory restaurant in East London and the Indian restaurant, Veeraswamy in Soho. Which restaurants won awards in the Michelin Guide UK 2017? Which restaurants gained stars in the Michelin Guide Spain and Portugal 2017? 22 new entries joined the one star club for the Spain and Portugal Michelin Guide 2017. There were 15 new additions in Spain and a further seven new one stars in Portugal. Five restaurants bumped up from one to two stars and Martin Berasategui and Paolo Casagrande’s Lasarte restaurant in Barcelona received three stars making it one of nine establishments in Spain to achieve this. Which restaurants gained stars in the Michelin Guide Nordic Cities 2017? Two new restaurants were awarded two stars for the first time in the Michelin Guide Nordic Cities 2017. This edition of the Michelin Guide also saw four new additions to the one star club in Denmark, Reykjavik, being the first restaurant in Iceland to achieve a star. Unfortunately, numerous restaurants were deleted from the list including Rene Redzepi’s Noma which lost its two stars following its closure. Which restaurants gained stars in the Michelin Guide Shanghai 2017? The Michelin Guide Shanghai awarded T’ang Court three stars and seven new restaurants received two stars. 18 restaurants were also awarded one star. Which restaurants gained stars in the Michelin Guide Switzerland 2017? Whilst the number of three star restaurants remain, there were three two new stars and 12 new one star ratings awarded in the Switzerland Michelin Guide 2017. Switzerland now has the highest number of Michelin stars per capita in Europe, with 117. Which restaurants gained stars in the Michelin Guide Washington 2017? 12 restaurants earned stars in the Washington Michelin Guide 2017, three two star restaurants and nine one star restaurants. No restaurant received the three star rating. Which restaurants gained stars in the Michelin Guide San Francisco 2017? Seven one star restaurants join San Francisco Michelin Guide 2017 and a new two star was awarded to chef David Barzelay’s Lazy Bear, which had a one star the previous year. This year, 54 restaurants received a Michelin star rating with Quince being elevated from two to three stars. Which restaurants gained stars in the Michelin Guide Chicago 2017? Twenty-six restaurants were included in the Michelin Guide Chicago 2017 with a record of 19 Chicago restaurants receiving one star. Which restaurants gained stars in the Michelin Guide New York 2017? Six restaurants all retained their status in the three-star category in the Michelin Guide New York 2017 and 12 new eateries gained one star. A total of 77 restaurants earned Michelin stars this year. Which restaurants gained stars in the Michelin Guide Brazil 2017? No new restaurants were awarded three stars this year, and Alex Atala’s D.O.M continues to be the only two-starred restaurant in the guide. In the one star category, 18 restaurants were awarded. Twenty four restaurants received stars in Seoul ‘s first Michelin Guide including two three Michelin starred establishments, three two starred restaurants and 19 one starred restaurants. Which restaurants gained stars in the Michelin Guide Hong Kong 2017? The eight three starred restaurants from last year’s guide remain in the Michelin Guide Hong Kong 2017 and two new additions have been added to the two star category. Six one star restaurants were also added. Which restaurants gained stars in the Michelin Guide Italy 2017? Fortythree restaurants earned a star in Italy’s Michelin Guide 2017. Rome received six new one star restaurants and while there was no movement from three star establishments, Italy still has a total of eight three Michelin star restaurants. 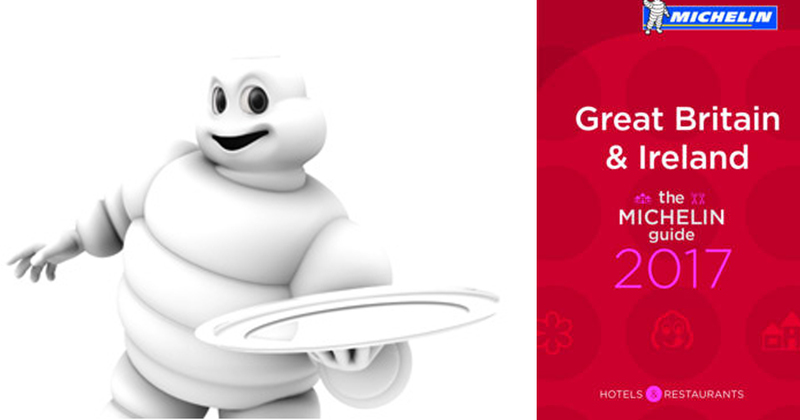 Which restaurants gained stars in the Michelin Guide Belgium / Lux 2017? Belgium and Lux’s Michelin Guide 2017 announces the Italian Restaurant, Mosconi in Luxembourg has managed to win back its second star. In total, 11 Luxembourgish restaurants have been awarded a star this year. Which restaurants gained stars in the Michelin Guide Tokyo 2017? Four restaurants have managed to maintain their three stars in Tokyo’s Michelin Guide 2017, Japan’s capital having more Michelin stars than any other city in the world. A total of 66 new restaurants have been added to this year’s guide overall. Which restaurants gained stars in the Michelin Guide Germany 2017? All 10 of Germany’s three star restaurants from last year maintained their status in Germany’s Michelin Guide 2017. Three new two star restaurants were added including Berlin’s Rutz, which has held one star since 2008 under chef Marco Muller. Twenty eight new one stars were also awarded. Which restaurants gained stars in the Michelin Guide Netherlands 2017? In the one star category, there were a total of five new restaurants, three of them based in Amsterdam. There were no new entries in the three-star category but Librije and De Leest maintained their position as the only restaurants in the country to receive three stars from Michelin. The country now has a new two star restaurant, Tribeca in Heeze. Which restaurants gained stars in the Michelin Guide Main Cities of Europe 2017? In the main cities of Europe Michelin Guide, one new addition has been added to the list of 20 three Michelin starred restaurants: Lasarte, chef Martin Berasategui’s Barcelona restaurant. 12 new restaurants have received two Michelin stars this year from eight different countries, including Amador, a Vienna restaurant. Fifty one new restaurants were also awarded one star bringing the total of one starred restaurants in the guide to 386. Which restaurants gained stars in the Michelin Guide Hokkaido 2017? Twenty two new editions were added to the Hokkaido Michelin Guide 2017. Two restaurants achieved a third star and joined French restaurant, Moliere and Hanakomichi Ishida who have both retained their three stars in this year's guide. Tempura araki is also new to the guide with two stars as is Yamahisa with one star.